On his second solo release HANS CASTRUP – painter, musician, photographer, writer and video artist – blends analogue and digital sounds between abstract electronics, ambient, avant-garde and sound art. Always a prolific spirit in diverse art forms, HANS CASTRUP continues his musical solo explorations that he started with “Shadowplay” in 2013. Applying his technique of multiple layers (colours in his paintings, sounds in his music), “Lizenzfreie Restwärme oder: Die Klaviatur des Quadrats” delivers 8 tracks where different sound sources were edited, manipulated and re-organized as abstract-reduced compositions meandering between melodiousness and experimental collages whose reference system ranges from new music and avant-garde to today’s electronics. 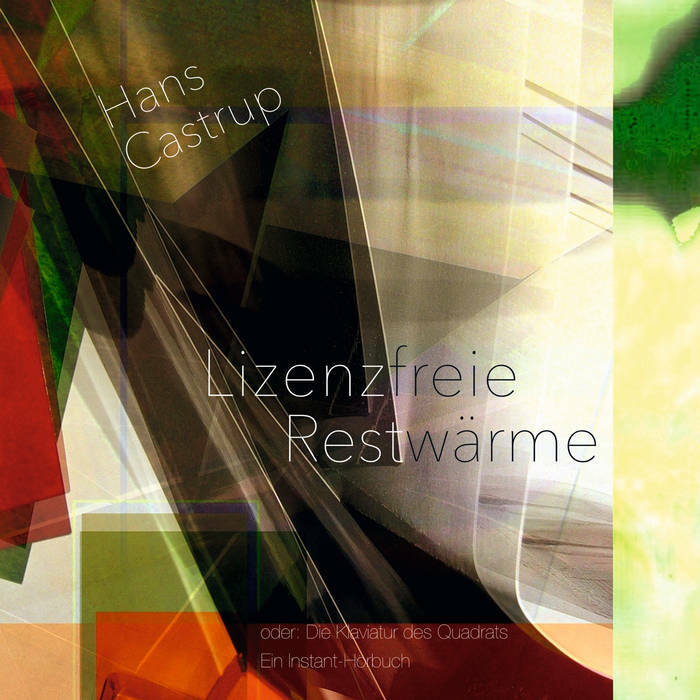 While the pieces on his debut were each accompanied by a video clip, CASTRUP’s second album carries the subtitle “an instant audio book” because “Lizenzfreie Restwärme” contains not only a CDr but also a 60pp book with texts and photo collages by the artist himself who is honorary member of St. Petersburg’s artists’ association “Phönix” and won a.o. the first prize of public radio station BR2 for his piece “Lebendiges Wissen – Kontrolle?” (“Living knowledge – Control?”) in 2011. Both, text and music, work independently from each other but add up to a soundtracked reading in the recipient’s mind when done so – especially on headphones, as recommended by CASTRUP.